Mumbai's seasoned transport union leaders who thought they had seen and done it all are, however, on Tuesday facing a scenario that they may have never seen in their lives. 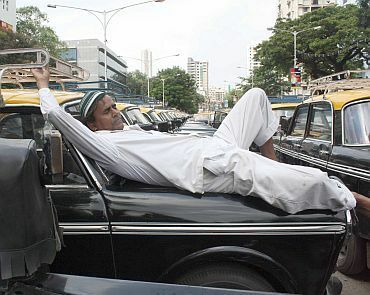 Taxis and autos in Mumbai may get a taste of their own medicine when they find it hard to get a passenger on Tuesday following a protest call against the high-handedness of the unions besides faulty meters and drivers who refuse to travel short distances. Taking on the taxis and auto unions are three relatively unknown youth who have attained celebrity status with their unique initiative. 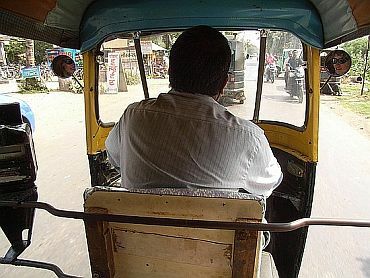 Their claim to fame is a unique initiative Meter-Jam urging people to boycott using auto rickshaws and taxis for one day. Unions dismissed their initiative, calling it as a gimmick by people with lot of free time on them. For any taxi.auto related complaints, please use the helpline numbers 022-24937746/47/55 or 1800-220-110 released by the Mumbai Traffic Police and RTO respectively. However, when the trio's website was launched on August 2, it attracted around 600 supporters in the first four days. By August 6, the number of 'like-it' entries jumped to 844 and on the eve of the first Meter Jam on August 12 there were 30,662 persons who supported the initiative. 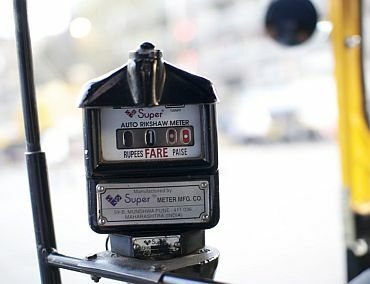 'We are tired of meter that always reads more than it should, drivers who refuse to ply and demand return fare whenever they want. And if all that wasn't enough, now we have to deal with strikes too, any time the 'unions' decide! Everyone is holding the janata (people) to ransom. How much more will we pay? It's time to turn the tables. This is the second time that an initiative is made to bring together the commuters together on a common platform to voice their grievances. We have effectively used the digital media to bring the commuters together, said Abhilash Krishnan (25), one of the founders of the initiative. Everyday Krishnan commutes between his residence Powai and his work place in Goregaon. On Thursday, Krishnan has made an arrangement with Meter-Jam co-founder Jaidev Rupani who would give him a lift on his motorcycle. Rupani, who resides at Bandra, will take a detour to Powai and then proceed to Goregaon. There are people who are taking autos and taxis but there are also many who are ignoring the empty vehicles and preferring to walk, Rupani said. 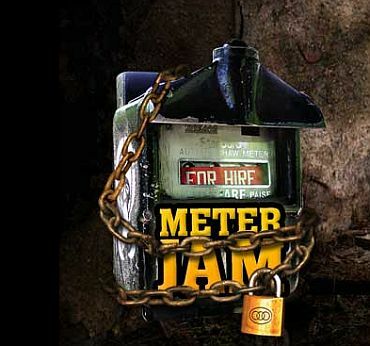 Brar, another co-founder of Meter-Jam, confesses that she has already given up on auto rickshaws since the last two months. "What is the point in waiting for 15-20 minutes for the auto rickshaw who invariably refuse to ply you? BEST buses are a better option, if you chalk out travel plan well in advance," said Brar. She adds that even buses had a lot of scope for improvement but seem to be the only viable option available to the harassed commuters.